It’s listed as an unincorporated town in King George County, Virginia in Wikipedia. (I wondered why a name like Index was chosen.) The Wikipedia entry was terse to say the least. 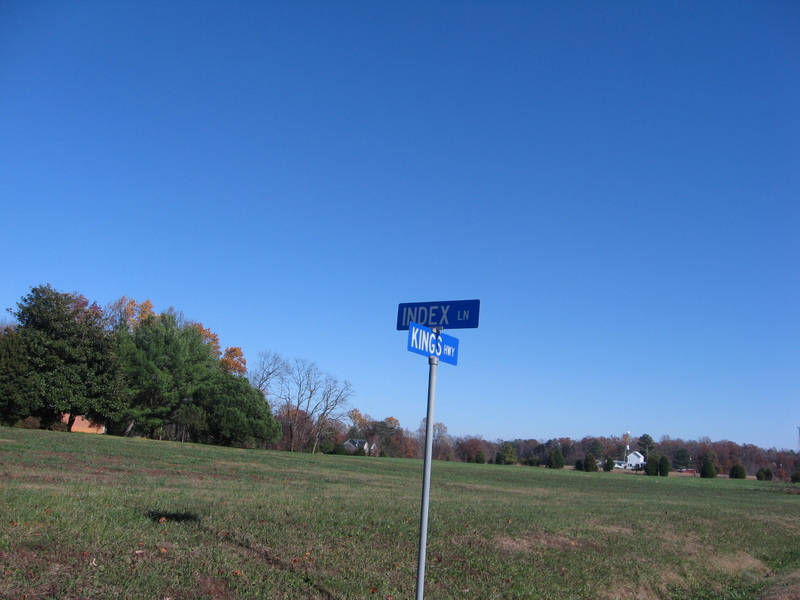 Just across the road from the Index sign was Index Lane. As you can see, it is definitely not a populated place. The Geographic Names Information System (GNIS) provided latitude, longitude, elevation, and a map name of Rollins Fork. Google Earth found it–though it was shown in a slightly different location–right across the road from Rt. 625 and the corner where we found the Index sign under which we had our pictures taken. A Google search turned up a blog for Index, WA with history of that town. 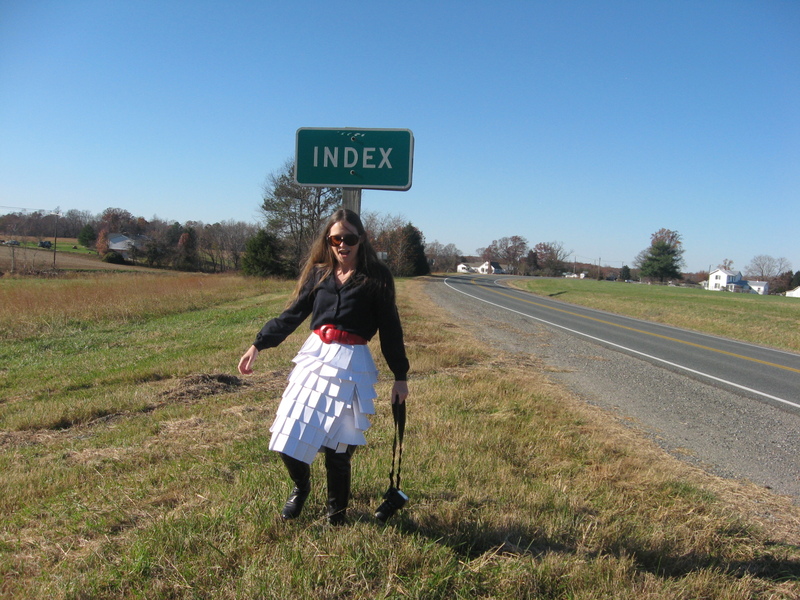 (Did any indexers celebrate Index Appreciation Day there?) Place Names search turned up a 30 entries for places bearing the name Index, but shows Index, VA, as a “locale” where some others are listed as “post office”, “populated place”. 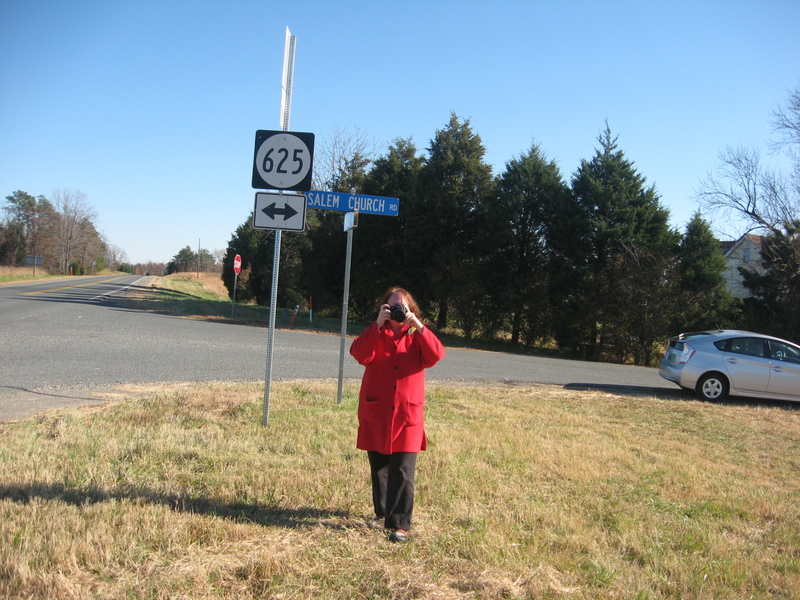 Clicking on Index, Virginia, link leads to a list of places near there. Browsing through the Google search results was not at all enlightening, so my curiosity remains unsatisfied; however, since it’s not insatiable by any means, I’m giving up the quest (at least for now). 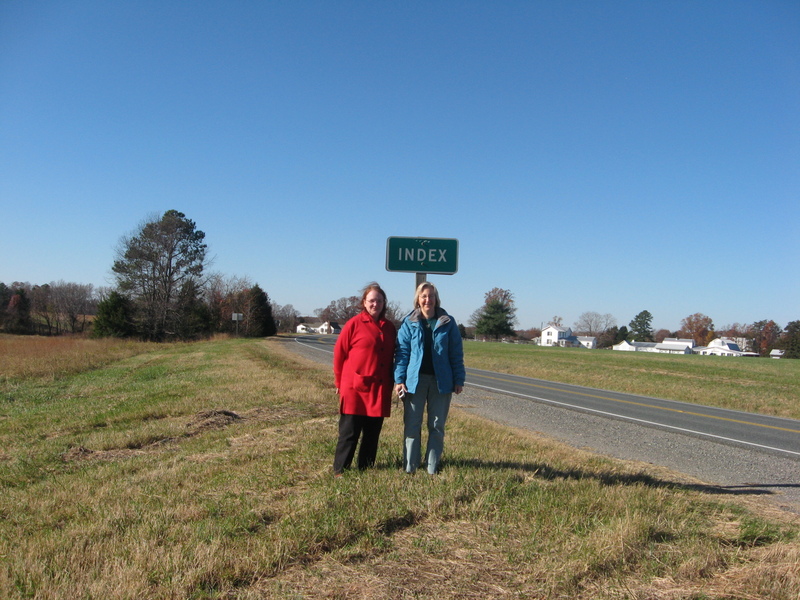 Place Names did show an Index, NC, in Ashe County (again just listed as a “locale”–I wonder if that one has a sign? ), and three in West Virginia (a local, a populated place, and a post office). Some Google searches for index and cartography combinations haven’t given me anything to suggest why there are places named “Index”–just doesn’t seem to keep with so many other place names that describe characteristics, like Dry Creek, or the like. 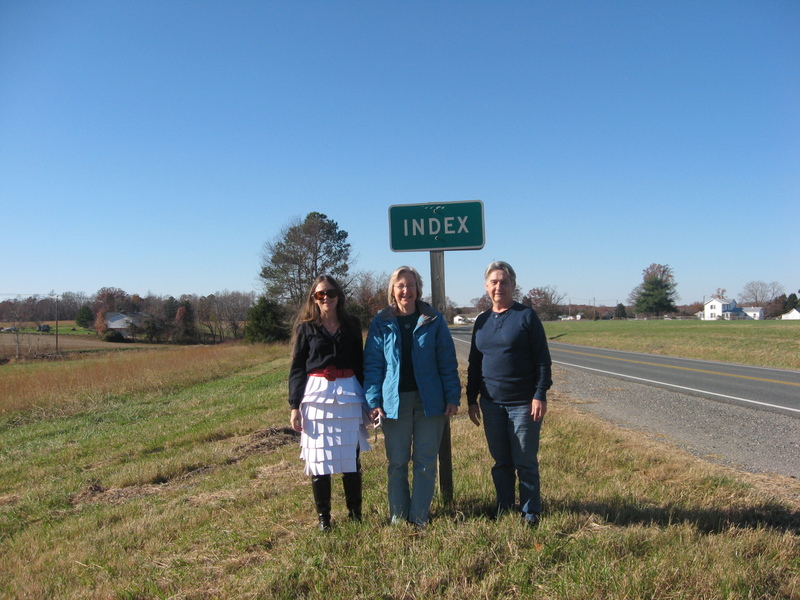 Maybe by next year when we meet at a place named Index we’ll have figured out why it called Index. That’s probably the longest commute that I’ve done for a lunch, and I was a bit late with all the road construction that I found between Durham and King George. I’ll certainly do it again next year, or any time in between Index Appreciation Days…just to hear indexing spoken. Even with the road construction I saw a lovely sunrise, a murmuration of starlings (where I crossed the Rappahannock river) and a glorious sunset. All in all, a great day. Previous Post The CAT did it? Next Post Take a break–preventing RSI/MSD.